We're rooting for this event as some of our member Artists are involved. So why not go to the website below, and find more about it? 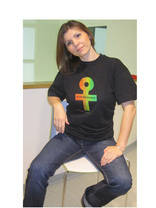 ​so be sure to check back and see what our Black History Month feature will be. This is a brilliant photo by our youngest exhibiting Artist, Finlay Flint. He's only seventeen. 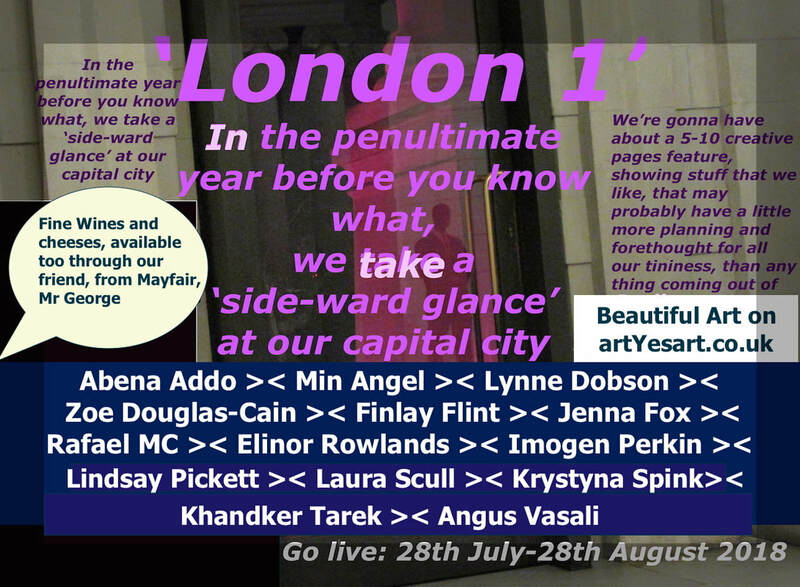 Hover over 'London Online Show to see Finlay's work, and the work of all our very talented Artists..
​creative and diverse outburst of London. and if you can't . ​Then just have fun and tell someone. ​If you can spare a 'mo, tell the artist, what you think of their flow. Click here between Sat July 28th for from around 8pm. The show lasts a month. Thank You. 'Schools Out' will exhibit some work produced in an east London school around the theme of London, and looking forward, for the time of the school holidays, it will be open to receive and show online, art work by young people between eleven and seventeen, particularly Londoners. Community will be an area for those who enjoy making art away from the 'hustle and bustle' of professional concerns, and just like making things. We will also feature other related content in this area. Thanks so much. We are in the process of updating our website. Please be patient. Our previous name was artYesart.com. If you would like to be involved you can contact us via our contact form etc. ​Click under 'Artists' to see who's hanging out with us. Click box right for link to discover, or rediscover some of his work. Week 3. "We said this"
We feature this Artist, Althea McNish, working within Textiles, her designs and images have graced some of the leading arenas, according to Wikipedia "Althea McNish is a British textile designer of Trinidadian origin who has been called the first British designer of African descent to earn an international reputation. Born in Trinidad, McNish moved to Britain in the 1950s. 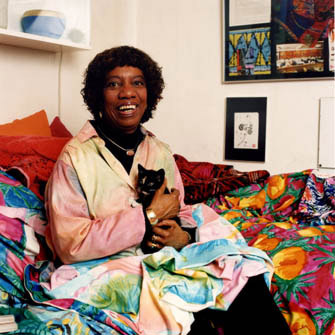 She was associated with the Caribbean Artists Movement (CAM) in the 1960s, participating in CAM's exhibitions and seminars and helping to promote Caribbean arts to a British public. Her work is represented in the collections of the Victoria and Albert Museum, the Whitworth Museum, the Philadelphia Museum of Art and the Cooper-Hewitt (Smithsonian Design Museum), among other places". 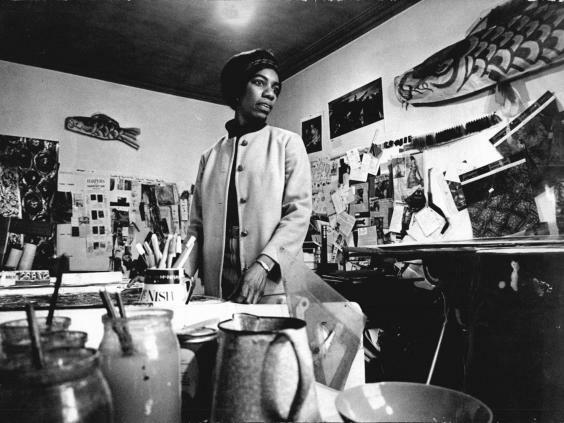 We also take a moment to give credit to those who are organising the Black Artist and Modernism Art Project, for archiving and bringing attention to these Artists, so do research and find out about that. So, here is another link about this Artist click below. We also take a little liberty in publishing a couple of images here. For our final Black History month focus, we're switching it up, and crossing the Atlantic, and highlighting an era, and a movement that involved a number of Artists and Creatives across the fields. Check out the link below to discover more about this amazing time in history. There are some really interesting old footage on this informative site. Click on the button below. We are in the process of updating our site. Thanks for your patience. If you want to share your work either here, either here, or in an offline situation, please contact us. ​We particularly want Fine Artists who explore new ideas. It is our intention that from time to time, we will have online themed exhibitions, we are also open to ideas for online group or solo 'expos' see our FB page for more details or inbox us. Our last one was 'About Love', sample right, you can see more about it, by clicking above. 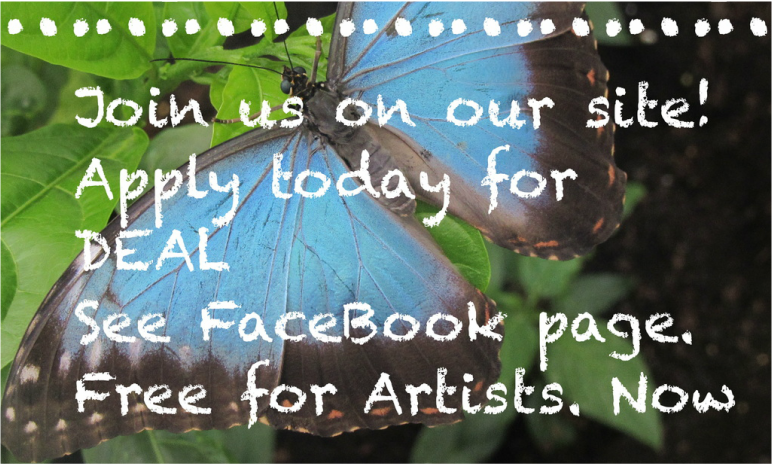 Invite us to come to your event and share our cards and other Art goodies with you. We're looking ahead now, and getting things scheduled for the Winter Season. We're hoping to attend a few events. We may even partake in a regular monthly event. Our offline Event (That we participated in) from 2013, was down at SW4. It was a nice vibe, and as Rosetta says "Lovely people." "We proudly took part in The Lambeth Country Show, and The Lambeth Open in Summer/Autumn 2014. We have attended a number of events, and we will be bringing some new Artists to the Roster. We have published our third set of Art Postcards...(7) so we are very excited about that...contact us for more information, and we can bring them to you, and we can also publish/design postcards of your choice." 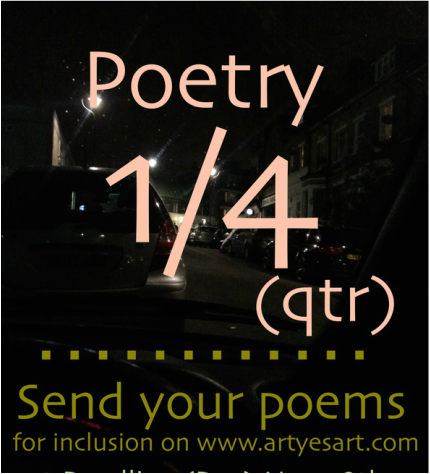 Click on our Contact box, below, with the words 'Poetry' or 'Style' to start the ball rolling. Thank You. PORTFOLIO SURGERY Click contact (below). For an appointment for Guidance to make-ready your portfolio for exhibition (10 hour call back). The art lounge is here check it out. Click ABOVE.